The charity which was created in 1982, Christmas Caravan, before changing its name a few years later in 1992, has been established for more than 36 years, helping to raise money for children around the middle Tennessee area, to help give toys to those who may be less fortunate and provide a little more joy for the kids every Christmas. 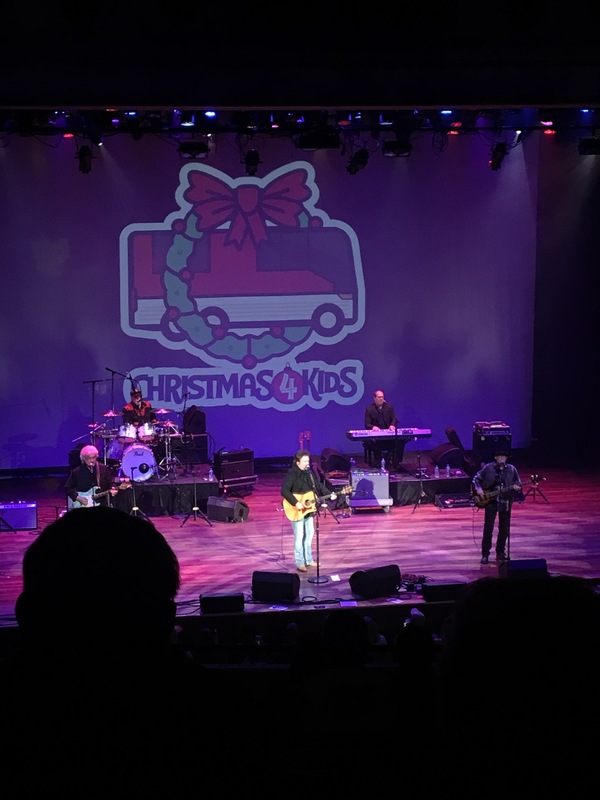 One way the organization kicks off their fundraising every year, is by holding the Christmas 4 Kids Benefit Concert at The Ryman Auditorium featuring some country music artists that generously donates their time, to come and perform. This year’s acts included Halfway To Hazard, Darryl Worley, Restless Heart, Mitchell Tenpenny, Sandra Lynn, and Shenandoah, hosted by T.G. Sheppard and Kelly Lang. Everyone raved about the opening artist of the evening, Halfway To Hazard, a country duo made up by of Chad Warrix and David Tolliver, giving an amazing performance of some of their songs including Meet Me In Vegas, Daisy, and Heaven On Down The Highway. Next up was another country music singer/songwriter, Darryl Worley, who did a impeccable job singing his latest single that came out this past summer, Lonely Alone, along with some other favorites by the singer such as I Miss My Friend and Have You Forgotten. He closed his set with a Christmas song he had just learned that day, Let It Snow. The following group did an awesome job entertaining the crowd with their performance and we’re very glad to be at the benefit concert. “It’s good to sing at the Ryman Auditorium!” says Larry Stewart, lead singer of Restless Heart. 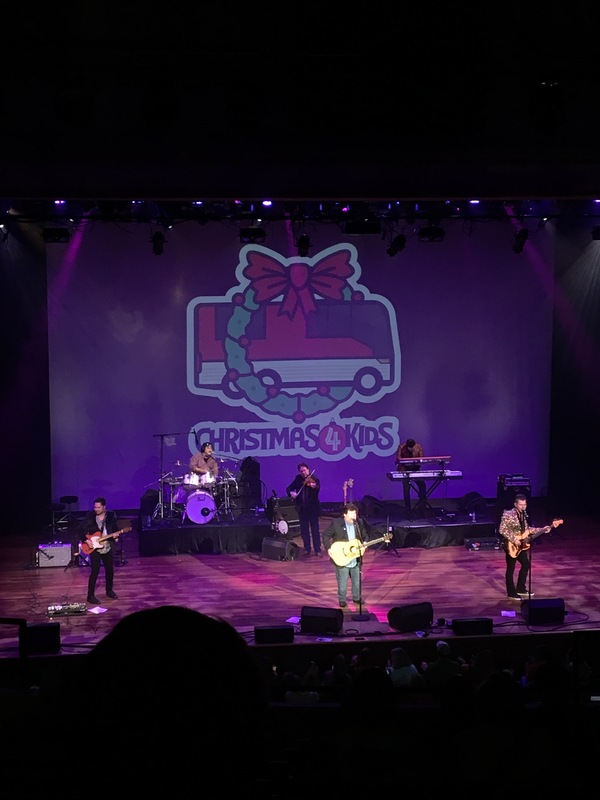 As the band is celebrating 32 years, they wowed the audience with some of their popular hits such as, That Rock Won’t Roll, Why Does It Have To Be Wrong Or Right, I’ll Still Be Loving You, The Bluest Eyes In Texas, and ended with a Christmas tune. A upcoming country artist, Mitchell Tenpenny, was up next and you could easily tell the crowd was definitely excited to watch him perform. It also just so happened to be the very first time the singer got to play at the Ryman Auditorium. He began his set by singing a great song, Telling All My Secrets, that will be featured on his debut album due out December 14th. Tenpenny also added his own touch of edginess to what he called his little “funky version” of the popular Christmas song, Have Yourself A Merry Little Christmas. Along with these songs the artist also performed a very memorable sentimental song, Walk Like Him, that he wrote and is the last song on his upcoming album. If you want to listen to Walk Like Him, you can get it early when you pre-order his new record and you can by clicking HERE. Before ending his set with Drunk Me, he said a few kind words of gratitude for the success he’s had with his latest single and wished everyone Happy Holidays. “Thank you for changing our lives.” said Tenpenny. 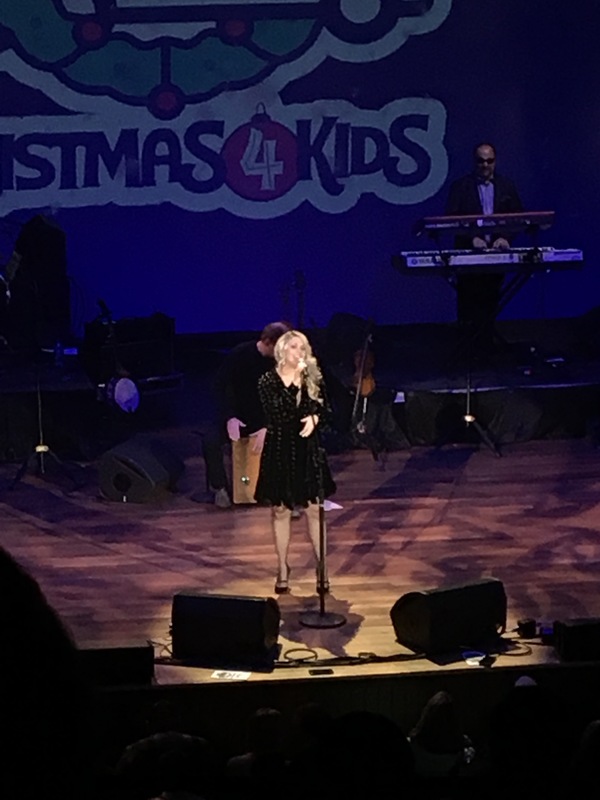 Another new upcoming female country singer, Sandra Lynn, who had known piano player, Gordon Mote with her, got to sing one brief original Christmas tune before the final artist of the night arrived entitled, My Christmas Wish For You. They also got to perform a Christmas song, Good Ole Fashioned Christmas, followed by I Want To Be Loved Like That. The band also expressed how much they’ve enjoyed getting to do what they do for many years. “We literally have had the time of our life.” Shenandoah closed the night with one of their latest singles, Where I Grew Up, along with their crowd favorites, Two Dozen Roses, and The Church On Cumberland Road. For a surprising encore, some of the performers of the night including Halfway To Hazard, Shenandoah, Sandra Lynn and hosts T.G. Sheppard with Kelly Lang, came out one last time to sing a classic song together, I Saw The Light. Another way the Christmas 4 Kids organization raises money is by having a Tour Bus Show at the Super Walmart in Hendersonville, Tennessee, which will be on December 17th this year. For a small donation you can tour the buses and see how country stars travel in style, along with meeting some of the artists! If you’d like to find out which artists will be at the Tour Bus Show this year, you can do so by clicking HERE. Along with giving the children presents for Christmas, each child will receive a brand new winter coat. After all the years efforts are together, some buses pick up over 400 children, to take them to a party held in their honor, hosted by Santa and Mrs. Claus. The special event for the kids provides a lunch graciously donated by Garth Brooks, along with live music and dancing. The party continues when everyone hops back on the buses to go to a parade that is led by the Nashville Trolley, and goes almost a five mile stretch, featuring more than 70 tour buses, ending at the Super Walmart in Hendersonville. Each child is then greeted with their chaperone, and given spending money to buy what they wish. 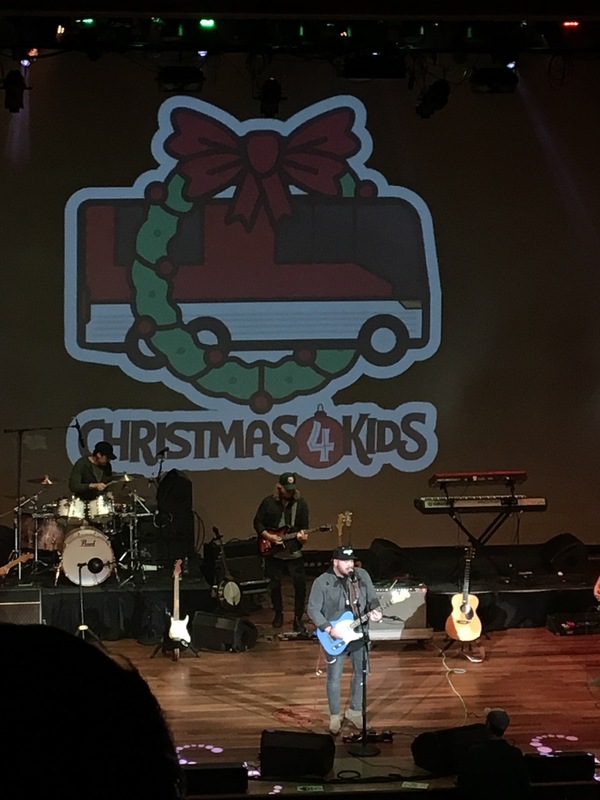 It was a pleasure getting to attend this wonderful benefit concert for a great cause, Christmas 4 Kids. 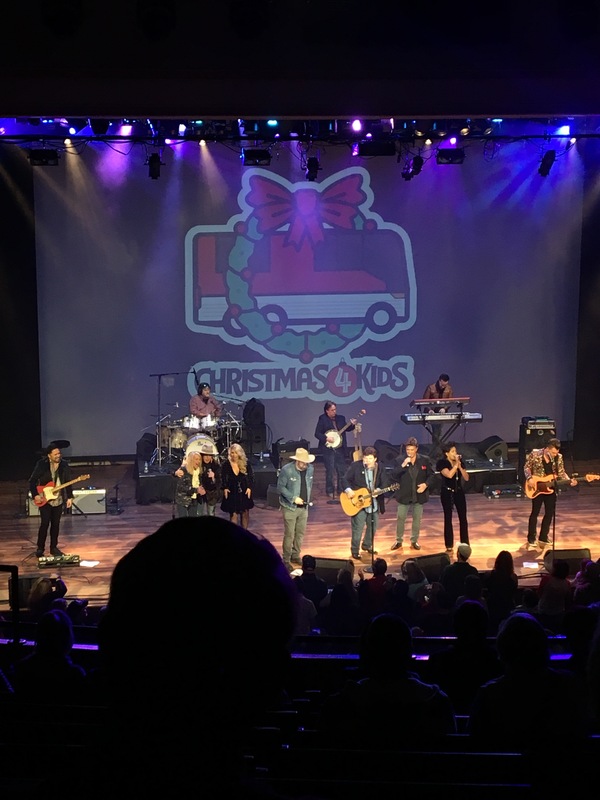 All the country music artists did a fantastic job putting on a terrific show and it was generous of each country singer to donate their time to come to perform for this special charity. Be sure to check out all of these great artists and if you’d like to find out more about the Christmas 4 Kids organization, check out their website, www.christmas4kids.org. 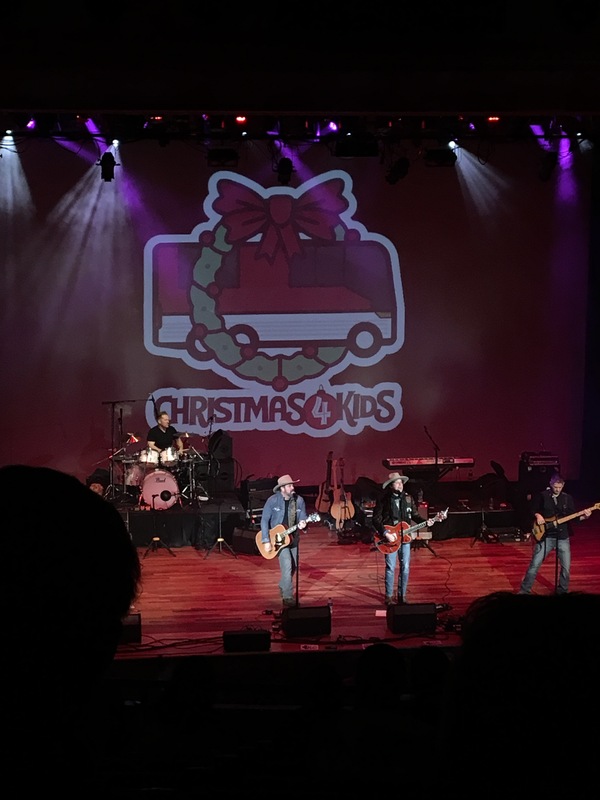 Did you attend the Christmas 4 Kids benefit concert or are you planning to go to the Tour Bus Show? I’d love to hear your thoughts, so leave me a comment below or on social media!